Toronto builders are developing many highrise condos to help supply the Toronto real estate market, due to the fact that there are so many new buyers and renters moving into the GTA from across Canada, North America and the rest of the world. 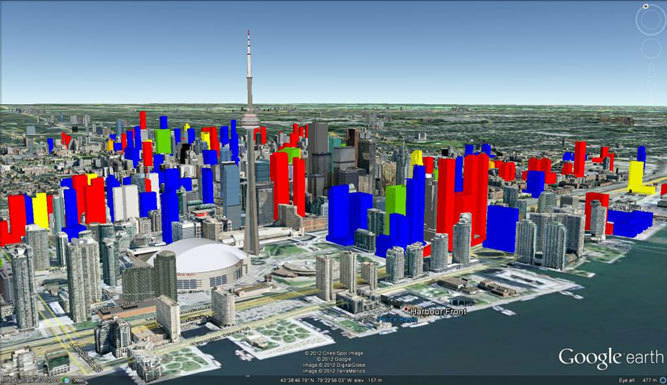 Trevor Melanson of the Canadian Business Network recently wrote an article that describes and illustrates what the Toronto Skyline will look like in 2020. “You may have heard that Toronto is putting up more skyscrapers than any other North American city—by a long shot, in fact. There are currently 148 skyscrapers and highrises under construction, according to Emporis, a provider of building and construction data. And despite warnings of a Canadian real estate bubble, there are hundreds more planned. So what sort of visual impact will all this new development have on the city? Well, there’s a lot of concept art floating around the Internet, but I found these less glamorous photos from a forum post the most interesting.